Just a quick post to say how much I enjoyed following the traditional, low key wedding of Geri Halliwell. 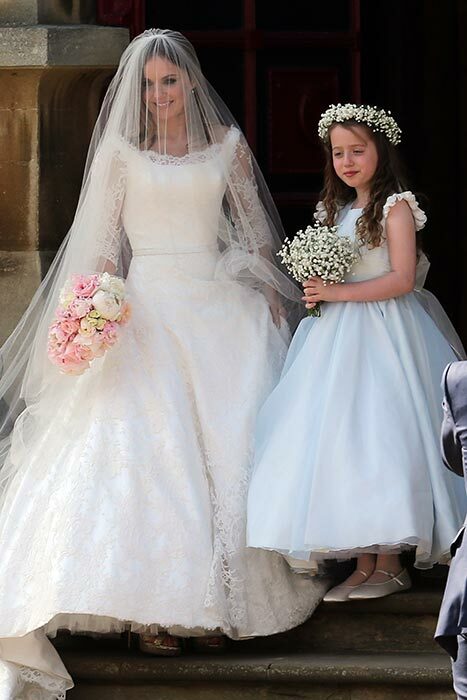 She looked classy and elegant in her lace Phillipa Lepley gown with her daughter as flower girl. She chose gorgeous pastel English garden blooms and had a church ceremony followed by an afternoon reception.